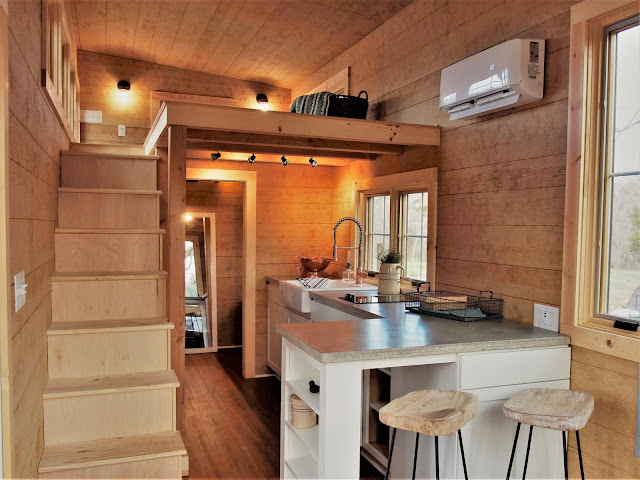 This custom modern cabin is as cozy as it is functional! 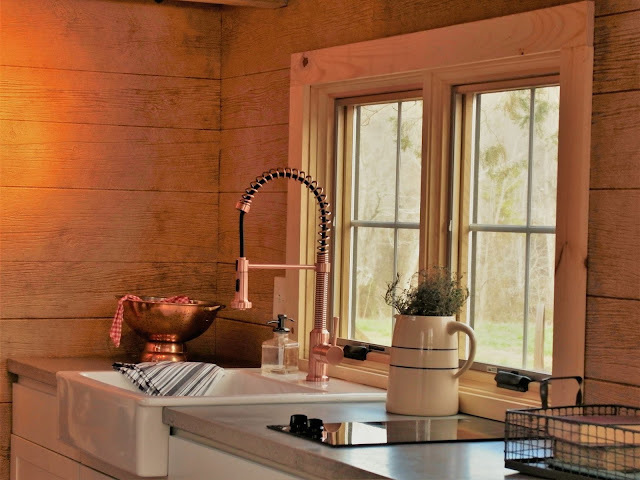 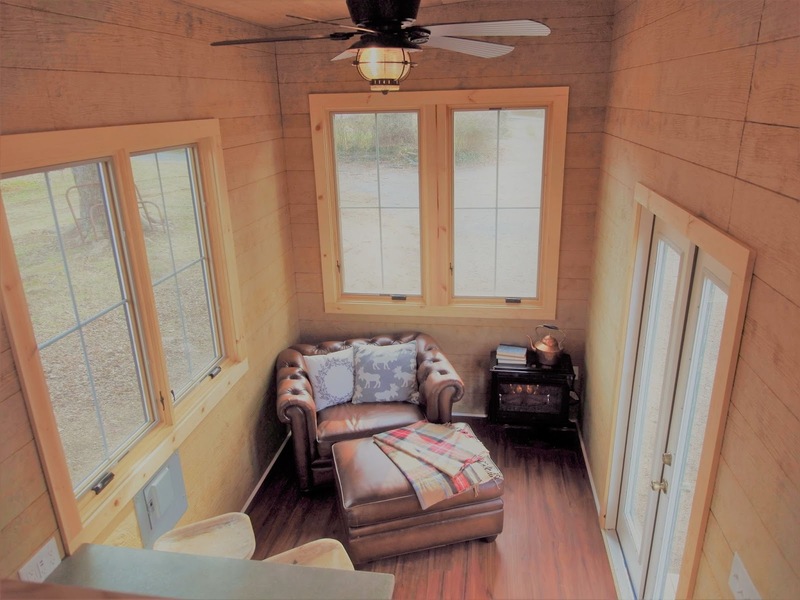 Named the Roost24, the home is built by Perch & Nest of Winston-Salem, North Carolina. 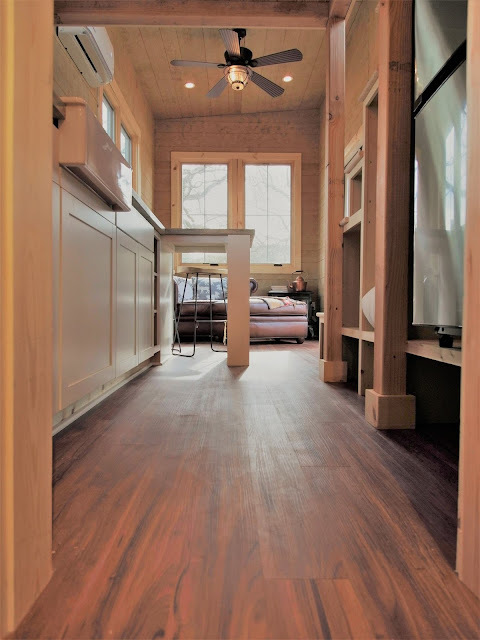 The 24' home features warm, natural wood tones inside and a sleek, contemporary exterior. With an open floor plan and 10' ceilings, this isn't a tiny home you'll feel cramped in! 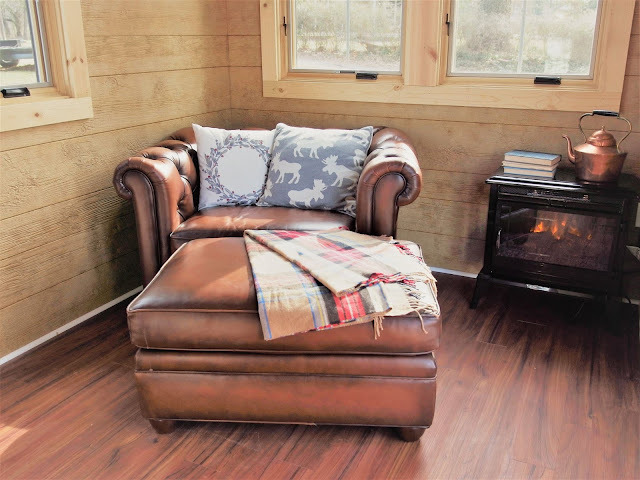 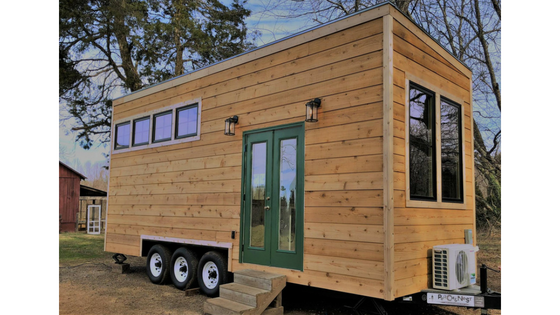 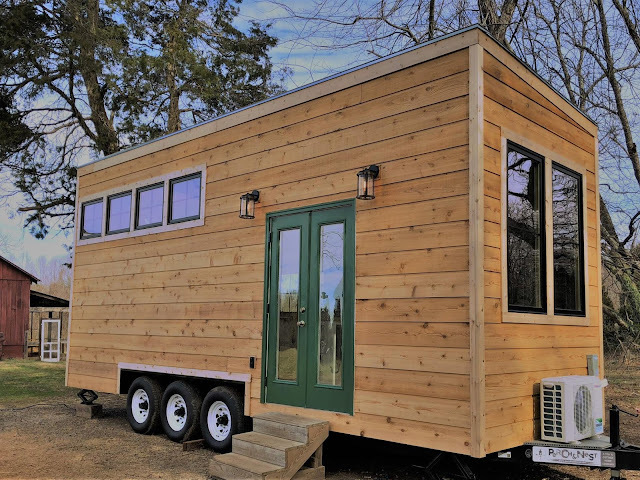 If you're interested in following this tiny house, its owners run a blog and Instagram page to document their life in the home (which they've nicknamed The Radagast)!